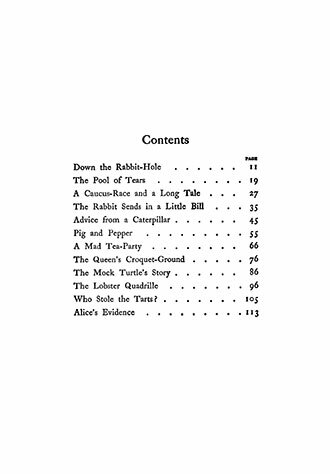 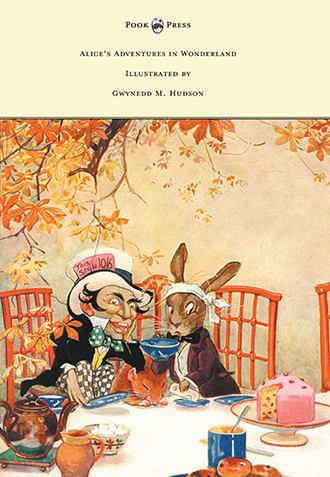 Alice’s Adventures in Wonderland, and its sequel Through the Looking Glass are two classics of the children’s literature genre, written by the English author Charles Lutwidge Dodgson (1832 – 1898). 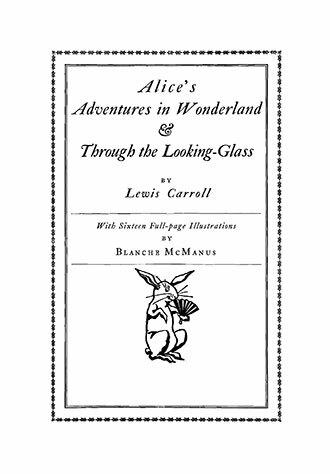 Better known by his pseudonym, Lewis Carroll, the author masterfully tells the story of a little girl named Alice, who falls through a rabbit hole into a fantasy world populated by very peculiar creatures. 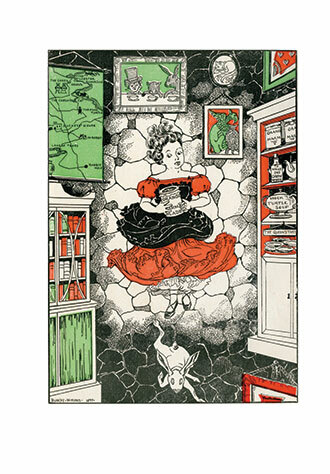 This story is followed with her re-entry (about six months later) into this fantastical universe, this time by climbing through a mirror into the world that she can see beyond it. 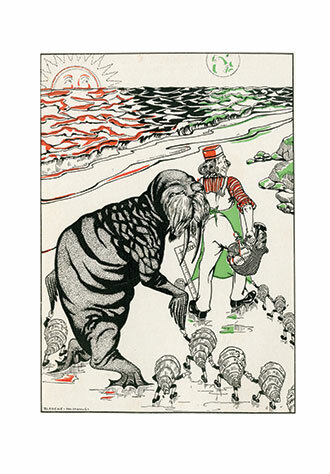 This book is beautifully illustrated by Blanche McManus (1869 – 1935), an American writer and artist, famed for her delicate watercolours and sinuous lines. 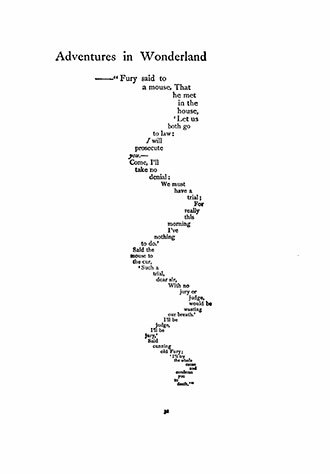 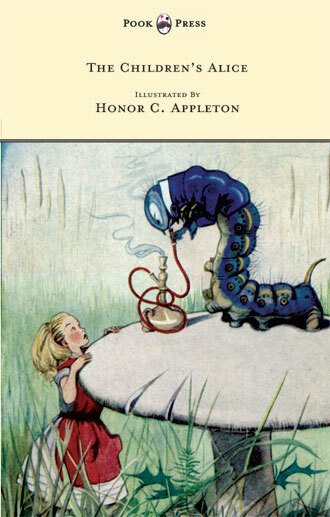 She brings Carroll’s unique form of ‘literary nonsense’ to life, superbly bringing about a balance between the written word and the artists imagination. 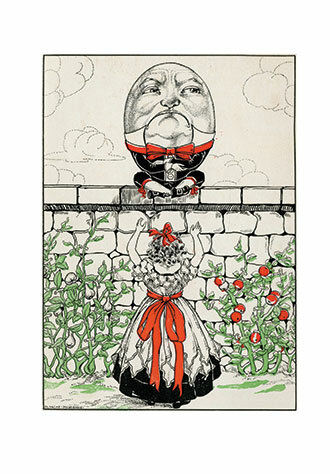 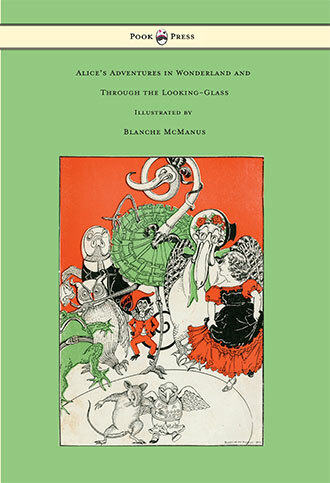 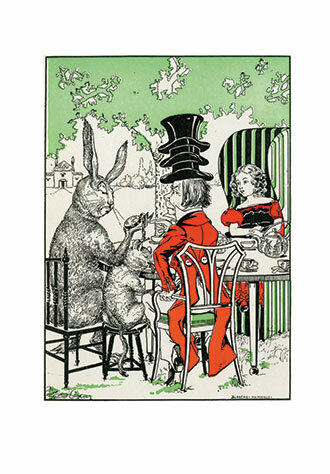 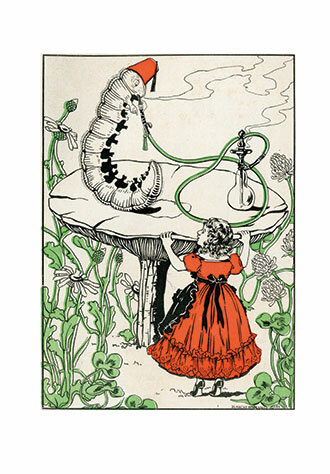 With works such as ‘Alice’s Adventures in Wonderland and Through the Looking-Glass – With Sixteen Full-Page Illustrations by Blanche McManus’, Pook Press celebrates the great ‘Golden Age of Illustration‘ in children’s literature – a period of unparalleled excellence in book illustration from the 1880s to the 1930s.